The European Parliament’s last chance to act comes mid-October when they will vote on a draft report that recommends making it mandatory to produce beverage containers with at least 25% of recycled plastics by 2025. If this is voted and followed by the Council of the European Union, Member States will need to reach this target by 2025, making an enormous leap towards a completely circular economy. The word “plastic” and even more specifically “single-use plastics” has been on everyone’s lips, especially this past year. It seems that the EU has a perpetual thorn in its side, a plastic thorn, that is. In the EU alone, 26 million tonnes of plastic waste is produced of which barely 30% go to recycling processes with the purpose of being reincorporated into new products. New plastic items, such as beverage bottles, incorporate in a best-case scenario only 7% of plastic recyclates! To counter this problem, one of the measures proposed by the European Commission is to collect 90% of plastic bottles by 2025. A good initiative, but nonetheless incomplete. Collecting plastic will not be enough to steer the plastic market towards producing fewer single-use bottles. Making it compulsory to collect 90% of plastic bottles is key in preventing them from invading our rivers, beaches and oceans, but it will not help plastic producers in shifting from single-use to recyclable bottles, nor to reincorporate recycled bottles into new ones. For this, only mandatory recycled content can give the signal to plastic producers, and the economic visibility to the waste management industry which will trigger investments for collecting, sorting, and preparing recyclable bottles. If these factors align, the loop will close. Mandatory recycled content will help bridge the price gap of plastic recyclates, and help finance the collection system. 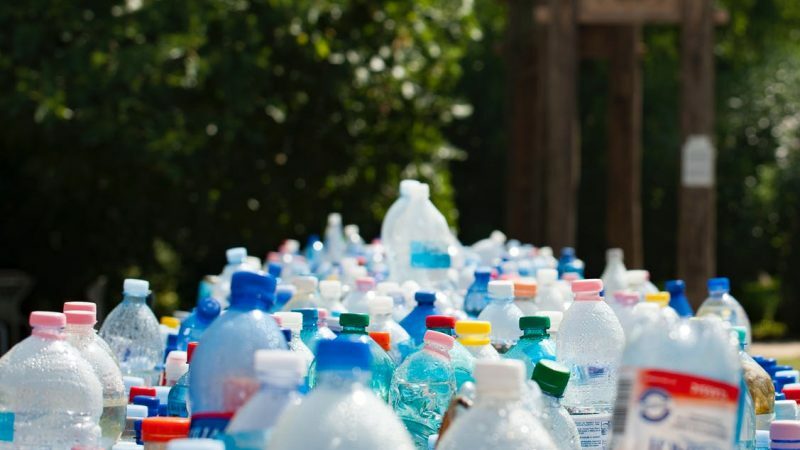 Many brands have already pledged to incorporate recycled content into their packaging, but only by obligating companies to integrate recycled plastics in plastic bottles will they revise their way of designing these bottles to facilitate recycling. This will break the never-ending vicious circle of beverage plastic bottles that are used only once. Producers will have to shift away from the latter in order to favour food grade plastics that can be recycled. Quite literally, bottles becoming bottles. In order to innovate and expand the separate collection, sorting and recycling capacity, for all plastics, at EU level, the waste management industry will need to invest up to € 10 billion worth of investments. Our sector is prepared to make the necessary investments if there are legislative measures ensuring a significant uptake of plastic recyclates; which is becoming even more necessary by the minute in view of the Chinese ban on imports of certain waste streams. Mandatory 25% content would be the perfect green light for our industry. If this is guaranteed, the high collection target and our investment will enable us to provide the quantity and the quality needed by the producers to incorporate recycled content into their beverage containers. MEPs will vote and decide mid-October if they want mandatory recycled content in plastic bottles to be part of their legacy. This is the EP’s last opportunity to act before the end of their mandate: if not now, the EU will lose at least 3 years! We can no longer sit back and wait for this problem to go away, the time to act is now.